I got out of work early today and headed out in search of a meatless meal. Chillaxing in a booth and catching the beginning of the Pens vs. 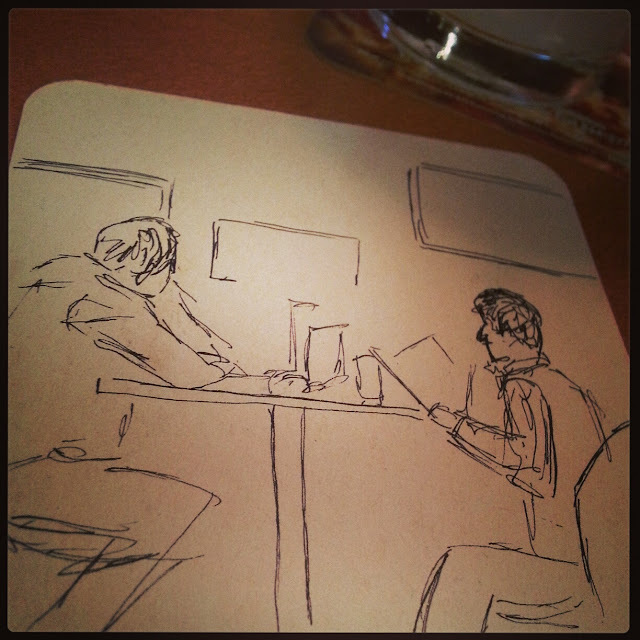 Jets game, I sketched this on the back of a coaster.